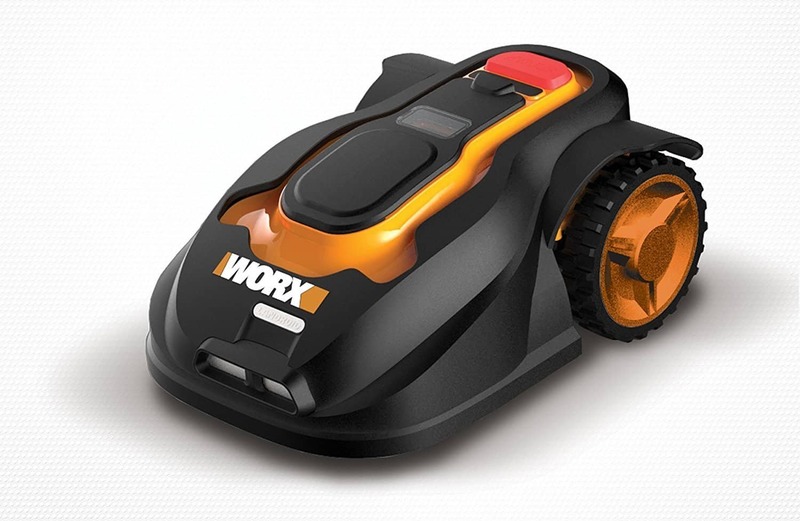 The Worx WG790E Landroid M mower is quite easily the most value for money model on the market. 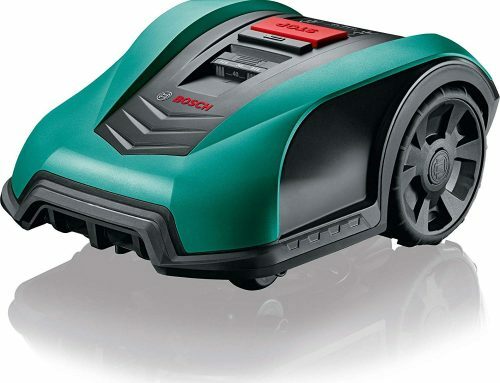 I would say that it competes very well with the likes of the Gardena R70Li, the Bosch Indego 800 and the Robomow RC308. They are all very similar and cover the same amount of ground. 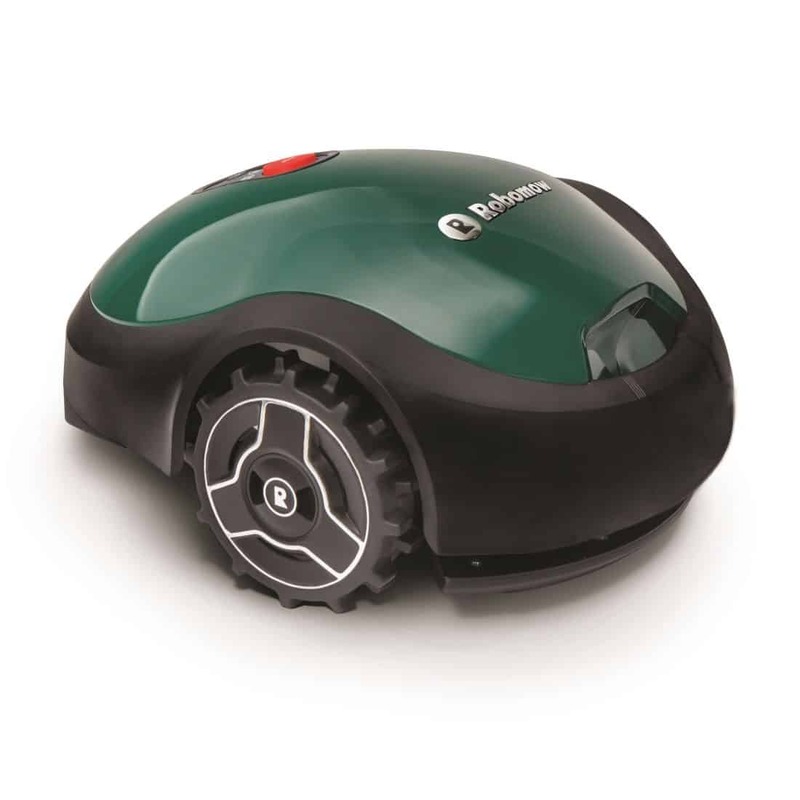 All robomowers are equipped with a navigation system which enables them to find their way around your garden. But the WG790E system uses artificial intelligence to do this more efficiently. For example, in gardens with narrow passageways there will be 2 perimeter wires in close proximity to each other, many robomowers are unable to differentiate this from a standard perimeter and will not pass through to the other side. The WG790E, with its artificial intelligent, recognises this situation and continues through to carry on cutting without any issues (click here to see this in action). 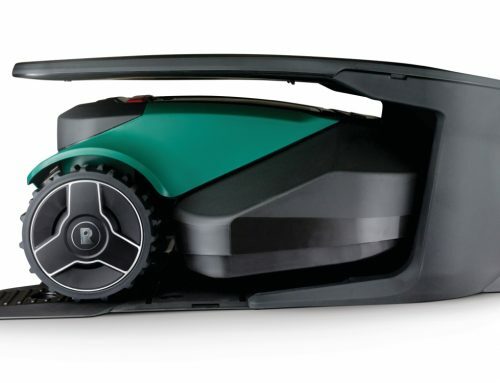 Also, with its AI navigation system the WG790E will happily navigate avoiding obstacles and will design a route that encompasses all of your lawn. This capability may mean that you don’t have to consider modifications to your gardens which may be necessary when using other robomowers. A definite plus for the WG790E. The power system is completely electric so produces zero emissions and works extremely quietly. This means you can set it out to work at any time you want without it annoying you, your family or your neighbours. An added bonus is you are also keeping the environment happy and healthy. The WG790E is powered by 28V max Lithium-ion battery and will automatically head back to its charging station to recharge. 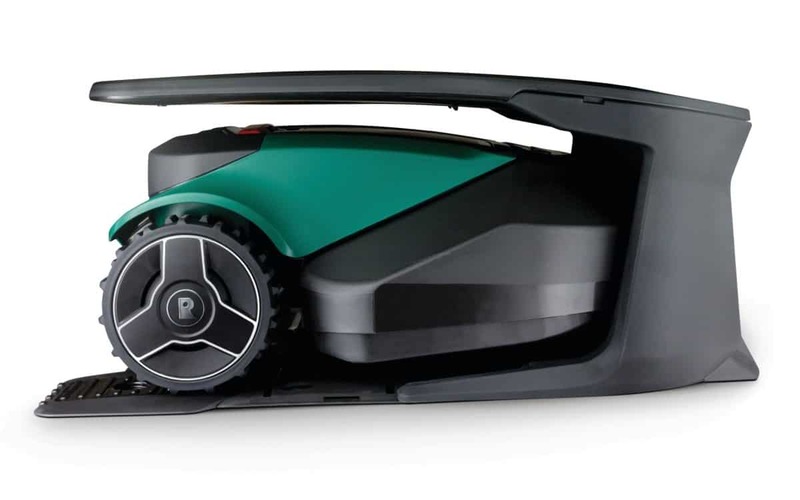 Once the WG790E has reached the docking station it takes about 1.5 hours to recharge completely, this is nearly twice as long as similar mowers. But this needn’t be of your concern, just take it into consideration when you set its mowing schedule/programme so that you don’t have the mower still working while you want to enjoy your garden. 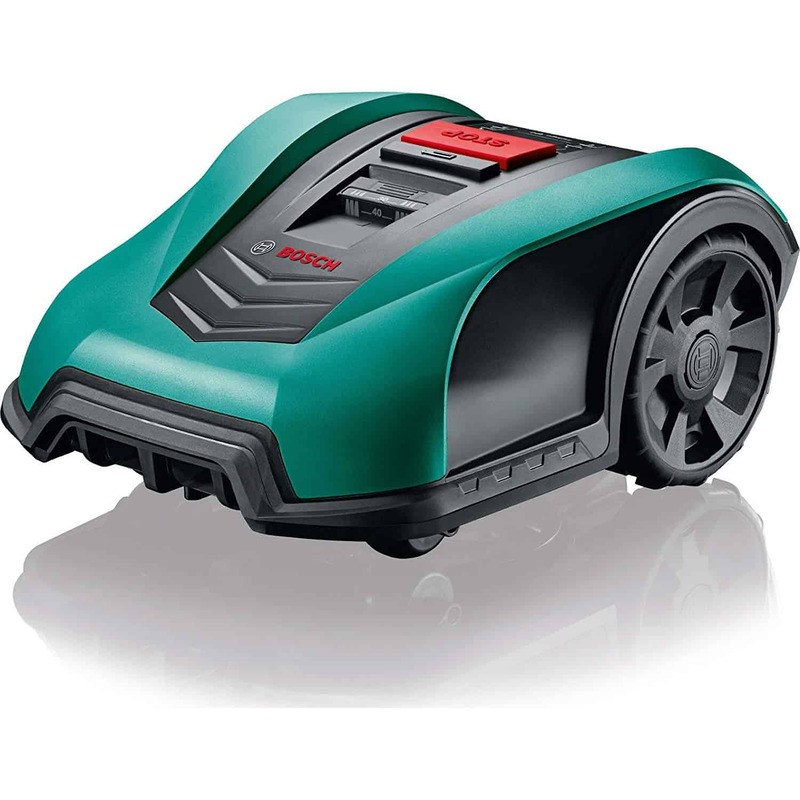 To cut the grass the WG790E uses three, very small blades attached to one rotating disk. These are a good distance away from its sides which means if you have to lift it to check the blades you are not a risk of cutting yourself. But to be extra precautionary, like all robomowers, this bot comes with a quick stop blade function (which we will discuss further down in the review). So rest assured there will be no emergency trips to A&E (unless you try to hurt yourself, but I like to think you have a little more sense than that). The WG790E has a very simple and easy to understand control panel which anyone can understand how to program. It has a battery gauge telling you how much charge is left, you can use it to make any changes you want to the mowers settings and, most impressively, it tells you when there is a problem. It even explains to you how to fix it, saving you the time and energy of doing it yourself. It’s also covered with waterproof casing to reduce any technical malfunctions while mowing in the rain. 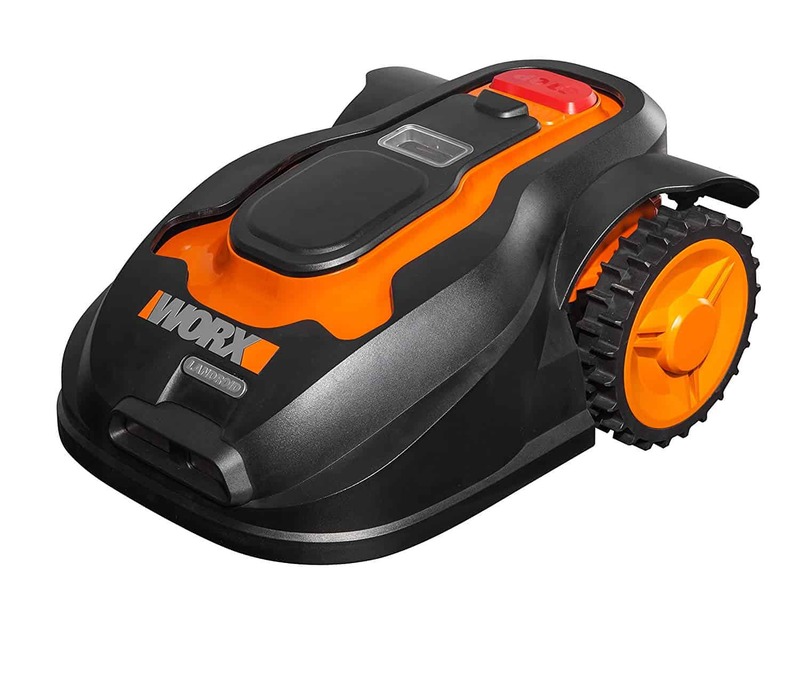 The WG790E also allows you to adjust the length at which it cuts your grass using a dial. But just make sure you do not put this setting all the way down from the get-go. This only results in an uneven lawn as the smallest blades of grass are not given time to grow. Which can lead to unhealthy brown patches on the grass, I’m sure you don’t want that! Instead gradually bring down the cutting height. This gives smaller bits of grass time to grow while the longer bits are being cut. Giving you a much more even lawn. Preventing brown patches is not the only reason for bringing the cutting height down gradually – you also give the mower the opportunity to mulch your lawn. Because the WG790E cuts the grass into tiny pieces, the clippings can drop all the way down to the soil. As they decompose, they pass on nutrients to the soil to promote much healthier grass growth. There is is no WiFi on the WG790E, therefore no application support. 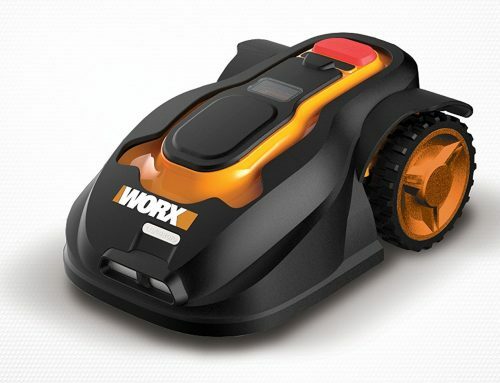 Worx have programmed a ‘quick stop blade’ function into the WG790E. This means whenever the bot is either titled or lifted, the blades stop immediately. 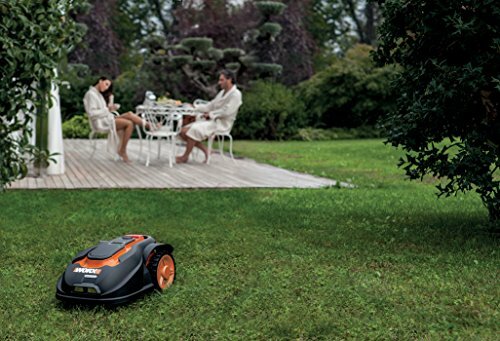 Making your mower as safe as can be in your garden – and is probably much safer than a conventional mower by the way! The blades are positioned in the middle of its body, away from the outer edge so it’s out of reach of your hand if you have to pick it up. Making it completely safe to lift whenever if gets into a bit of pickle. A PIN and alarm security system has been fitted to the mower as well. If anyone try’s to use the mower without the PIN code then an alarm will sound and a notification will be sent to your phone. This stops your kids from using this, still probably considered, dangerous piece of equipment and will scare the possible burglars. But be warned, if it has no charge in the mower then you are very unlikely to be notified of this. The WG790E can have trouble mowing all the way up to the edges of your fence. This is caused by a navigational issue as it’s been known to drive off course, get confused and turn off, however this will be because of improper installation of the guide wire. 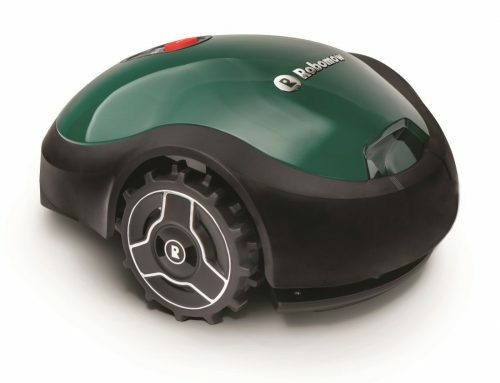 Just like every robomower, this model won’t be able to reach into areas that run along the bottom of house walls or fences. So you’ll have to do some trimming every now and then. If you have a slopped and unusually shaped garden with loads of decorations like bushes, flowerbeds etc. then this mower may get into a bit trouble with you. But if you follow the installation process properly then you shouldn’t have too many problems. This mower does take a long time to charge, some competitors can charge much quicker and still produce the same working time. But seeing as the mower doesn’t need any assistance from you while mowing, you shouldn’t need to worry about it. I believe that the Landroid WG790E is a fantastic product. 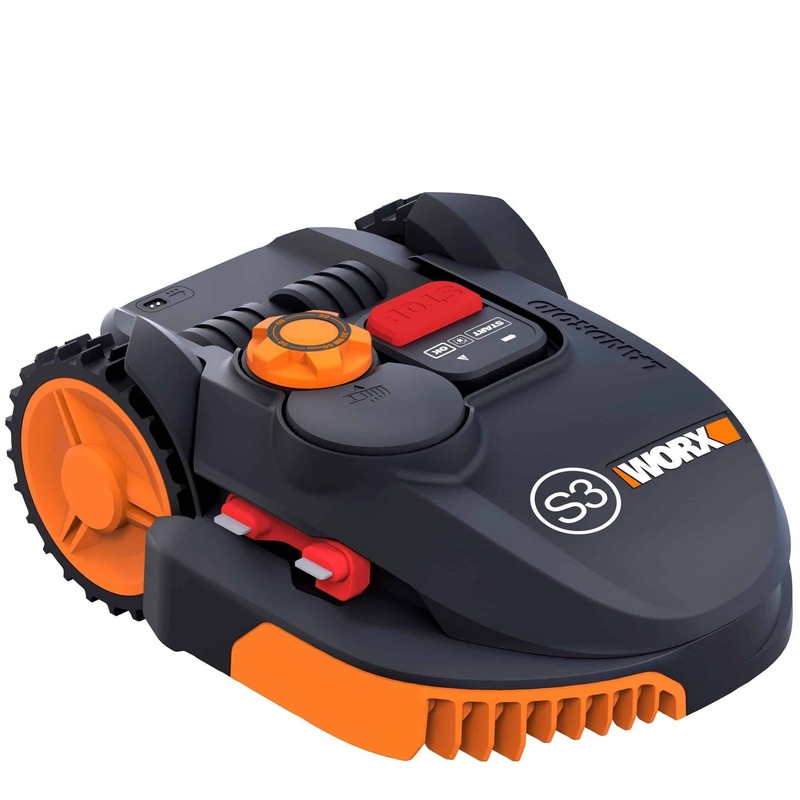 There are only a few others that can compete with its value for money, it does a very good job of keeping your lawn in great condition and has a series of useful functions which can be controlled from the palm of your hand. So really it should be everything you are asking for. 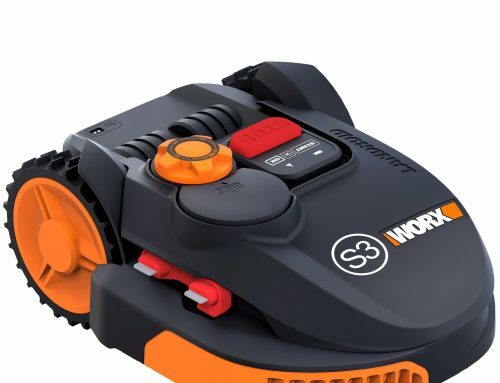 Even with the flaws stated above I not only think this is a brilliant mower and recommend that you DO purchase it, but I also think it’s the best for your money in the market. 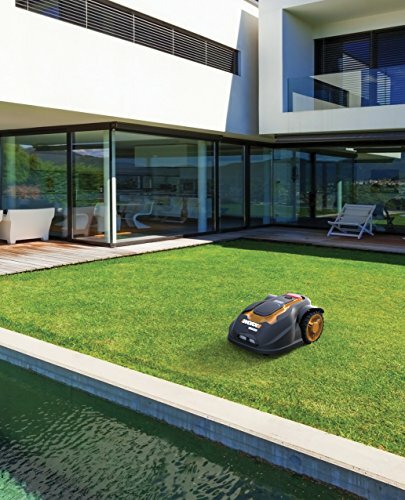 It looks great, it’s reliable, it has loads of features, it has great navigation, it’s safe to use, you can control it from anywhere and it’ll make short work of your lawn. For me there’s no looking past the Worx WG790E Landroid. They don’t have fencing surrounding the entirety of your lawn. Of course this is open to interpretation so if you don’t fall under every single one then don’t worry I’m sure you’ll still love this product. But if you actually fall under them all then congratulations you just found your perfect mower! Amazon have the best prices that are difficult to match and probably the most reliable delivery system on the web. Considering how valuable this piece of equipment is you want the most for your money and the best service possible making Amazon the best place to go. If you want to ask any questions about this model or any others then please leave a comment below. All I want to do is help you out as much as I can so I will reply as soon as possible. To be honest, I must ay that lawn mowing is one of the jobs that I used to do quite happily, because it was relaxing for me. Unfortunately, now I donÂ´t have enought time to do it anymore, therefore I believe that I will take a good look at your reviews and seriously consider buying an robot. Yeah that’s a good idea Steve. I know you won’t want your lawn to start getting out of shape because of lack of time especially when you use to treat it as a hobbie. They really are great machines and would be perfect for you considering your situation. Just make sure to research a range of models before making a choice. I don’t want you to waste your money on something that isn’t best suited to you. If you have any questions about any models or just need some help for the process then just comment under one of the reviews. Thanks for the comment Steve, I hope this helped.